People in Anchorage, Alaska are advised to be on the look out for invaders. No, not alien invaders; invading frogs. It appears that some Christmas trees being sold in the city have had secret passengers, namely Pacific Chorus frogs (also called Pacific tree frogs). While these frogs are native to significant portions of the Pacific Northwest, they’re not found in Alaska. That’s where the danger comes into play. While the frogs are adorable, given that they’re tiny and very green, they’re also pretty loud and destructive. Any time you introduce a non-native species into an environment, you get trouble. For example, San Diego’s spider problem. That’s why wildlife officials in Alaska are telling people that if you find the frog in your tree, you need to execute them on sight. Either put them in a plastic bag and pop it in the freezer, apply a drop of Orajel to its head, or put it in a jar and stick it outside so it chills out permanently. Whatever you do, don’t let it outside. 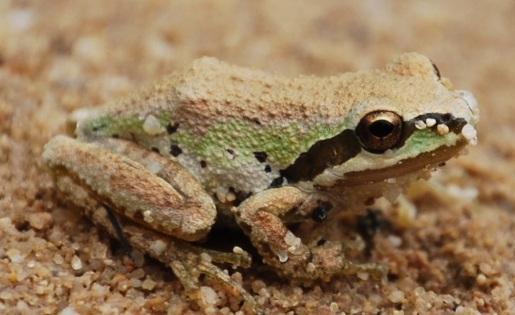 Frogs have a tendency to take over when they invade an area. It wouldn’t make for a very merry Croak-mas if frogs were running wild outside.